Monday morning, London tube. Standing there, in a crowd of hundreds, your mind goes to your plans for the day, your morning appointments, errands to run. But when Chiara, the childhood friend you haven’t met in ten years, walks by, you immediately recognize her. A couple of minutes later, you are telling each other all about your lives, still marveling at the slim chances of meeting after all these years. We recognize someone familiar even if we haven’t met them in a while, effortlessly. But where does this ability come from? Did we learn it through continuous social interactions or is it a trait we possess since birth? Scientists have proven that humans share this ability with many other animals. For instance, some years ago the case of sheep that are able to recognize dozens of faces after 2 years went viral. Of course, being able to recognize familiar individuals is extremely useful, because enable individuals to establish closer relationships with relatives, mates, and friends, or to modulate aggressive behaviors toward strangers and neighbors. The “dear enemy” phenomenon has been observed for instance with territorial songbirds: individuals are less aggressive toward familiar territorial neighbors, performing fewer threatening displays and biting less compared to what happens with strangers. All these examples taken from social species, though, don’t help to understand whether the ability to recognize familiar individuals requires the training of repeated social interactions. While social recognition has been considered as an adaptation for social life, this idea has never been formally tested. That’s why we thought it would be very interesting to check whether social recognition is available to non-social species. Are non-social animals able to recognize familiar conspecifics at the onset of life, when they haven’t had repeated interactions with different conspecifics? Are social abilities spontaneously available also to non-social animals? The solution to address this issue (see Versace et al., 2018) was located a few kilometers from the city center at Sperimentarea. 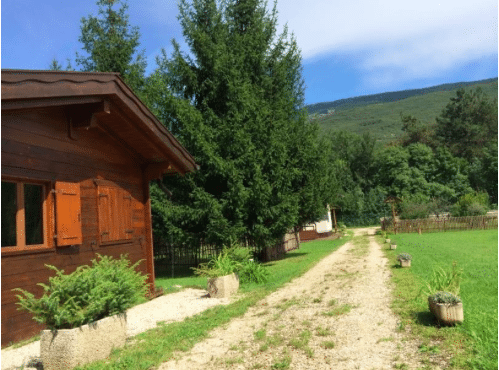 This is a field station of the Rovereto Civic Museum (Italy), that is becoming a sanctuary for tortoises, especially those endangered and protected exemplars that the local rangers (Guardia Forestale) find when they get lost from local private gardens. Tortoises are the perfect subjects to understand the origins of social behavior for many reasons. On the one hand, when housed with other tortoises in captivity, they show the ability to learn from the actions of conspecifics (Wilkinson et al., 2010). This tells us that tortoises possess the ability to interact with social partners, but not whether these abilities are spontaneous (the 1973 Nobel prize Konrad Lorenz would say “innate”) or result from learning through repeated social interactions. On the other hand, in the wild, tortoise behavior is solitary, namely, they do not form cohesive social groups, and live mostly on their own except for courtship and mating… so observing social abilities at the onset of life would show that learning is not necessary to perform specific social behaviors. Of course, when it comes to the actual mating, tortoises get very close, and males might even bite the females to be more effective in courtship. During mating, males produce really loud sounds that are highly appreciated by females (Galeotti et al., 2005). But after this brief social activity, male and female go back to their own lives; the female lays the eggs in the ground and then leaves them for good. About two months later, when the hatchlings emerge from the ground, they are completely self-sufficient and are able to move around just a few hours after birth. So, they can be tested at the onset of life without having had any experience with other conspecifics. For a couple of days before the deposition of the eggs, tortoises are more active and restless, so, to discover where the eggs were laid, Gionata Stancher (the head of the Zoology section of the Museo Civico Rovereto) spied the females that were about the lay eggs and waited for the female to leave the nest after oviposition. 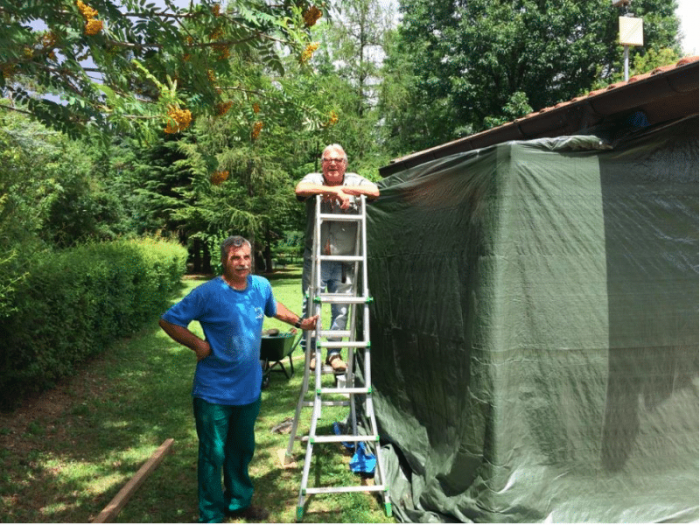 This was a team effort, and the gardeners of SperimentArea (Bruno, Diego and colleagues) kept their eyes well open and alerted Gionata on suspicious laying activities. For some weeks, Gionata and his assistants followed every motion of the tortoises to collect the eggs of two species, Testudo graeca and Testudo marginata, from underground. The eggs were then incubated in individual compartments and after hatching we made sure each of them didn’t see any other tortoise than another hatchling that was housed together. So, each tortoise hatchling knew one and only one conspecific that became its familiar conspecific and constituted their only social experience. After a familiarization period of two weeks, during which tortoises shared the same “flat,” the moment of the test arrived. Each tortoise was placed in front of a familiar conspecific or in front of a stranger and let free to move, as shown in this (sped-up — don’t worry!) video. We expected to see differences when we paired two familiar tortoises or two unfamiliar tortoises together only if tortoises were capable of recognizing familiar individuals. To understand whether tortoises treated differently familiar and stranger tortoises, we looked at the average distance kept from the conspecific. While familiar subjects moved randomly in the arena, reaching the distance expected by chance, the stranger condition they first moved closer to the unfamiliar tortoise, as to explore, and then moved significantly away from each other. Moreover, unfamiliar subjects tended to spend more time facing each other in the first part of the test, as if they were more interested in the stranger, before facing the opposite direction. Since we observed a different behavior in familiar and strange pairs, we showed that exposure to a single conspecific is sufficient to grant individual recognition even in a non-social animal such as a land tortoise, and with very limited social experience. This is the first evidence of spontaneous recognition of familiar conspecific in tortoise’s hatchlings. A possible explanation for the spontaneous avoidance of unfamiliar tortoises in hatchlings is the need to disperse the clutch. Imagine going to spend your holidays on a sandy beach. You might try to find a nice spot to sunbathe, but if the beach is very crowded, there will be a high level of competition since there will be fewer available spots. Each newborn tortoise will need food, water, and shelter to grow up and survive. Since in the wild, both Testudo marginata and Testudo graeca lay multiple clutches per year and each clutch contains 3-7 eggs (1988; Diaz-Paniagua et al., 1997), without dispersal, hatchlings would saturate the carrying capacity of the environment. “Luckily, we are not as asocial as tortoises, or we wouldn’t be here talking,” I said to Chiara, after telling her about our summer research. Pictures at Sperimentarea (by Elisabetta Versace). 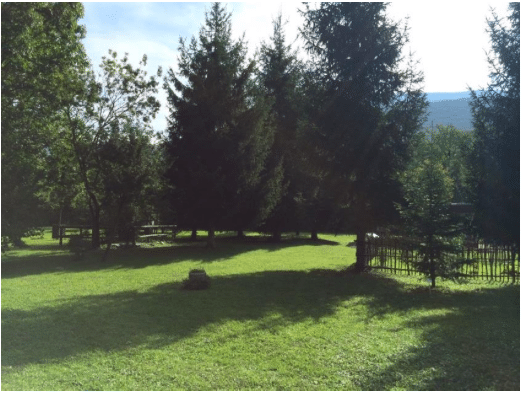 Sperimentarea is a didactic and research station managed by the Civic Museum of Rovereto. Gionata Stancher is the head of the museum’s zoology department. Local rangers bring to Sperimentarea tortoise exemplars lost from local gardens, to keep them in a protected area (not all animals are tagged with microchips). There, students and researchers study the behavior of different species of land tortoises. At the moment Sperimentarea hosts exemplars of Testudo hermanni, Testudo graeca, Testudo marginata, Testudo horsfieldii. 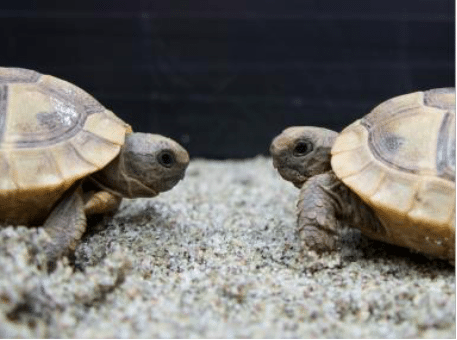 These findings are described in the article entitled Born to be asocial: newly hatched tortoises avoid unfamiliar individuals, recently published in the journal Animal Behaviour. 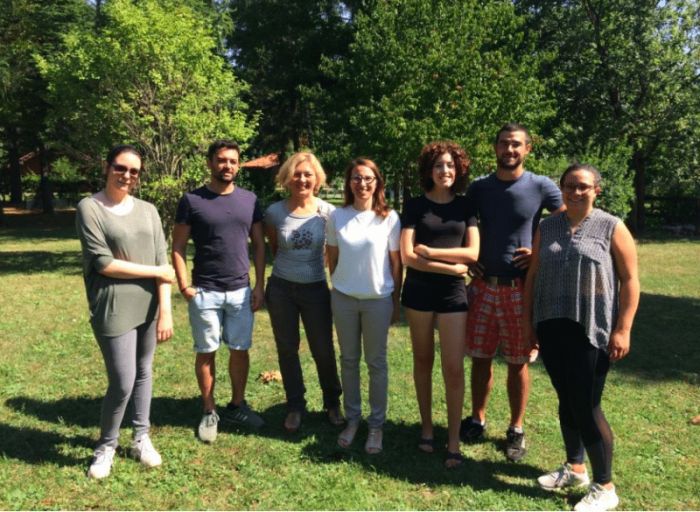 This work was conducted by Elisabetta Versace from the Queen Mary University of London and the University of Trento, Silvia Damini from the University of Trento and the University of Padua, Matteo Caffini from the University of Trento, and Gionata Stancher from the University of Trento and Rovereto Civic Museum Foundation. Diaz-Paniagua, C., Keller, C., Andreu, A.C., 1997. 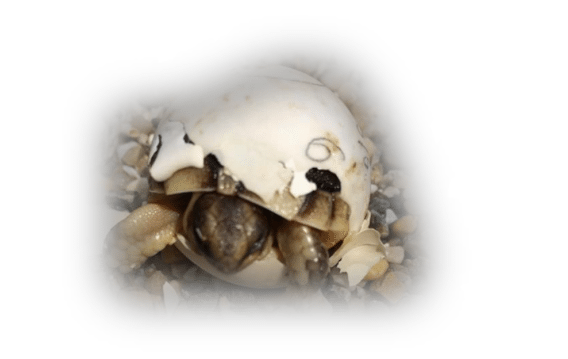 Hatching success, delay of emergence and hatchling biometry of Testudo graeca in Spain.pdf. Journal of Zoology. 243, 543–553. Galeotti, P., Sacchi, R., Rosa, D.P., Fasola, M., 2005. Female preference for fast-rate, high-pitched calls in Hermann’s tortoises Testudo hermanni. Behavioral Ecology. 16, 301–308. Hailey, A., Loumbourdis, N.S., 1988. Egg size and shape, clutch dynamics, and reproductive effort in European tortoises. Canadian Journal of Zoology. 66, 1527–1536. Versace, E., Damini, S., Caffini, M., Stancher, G., 2018. 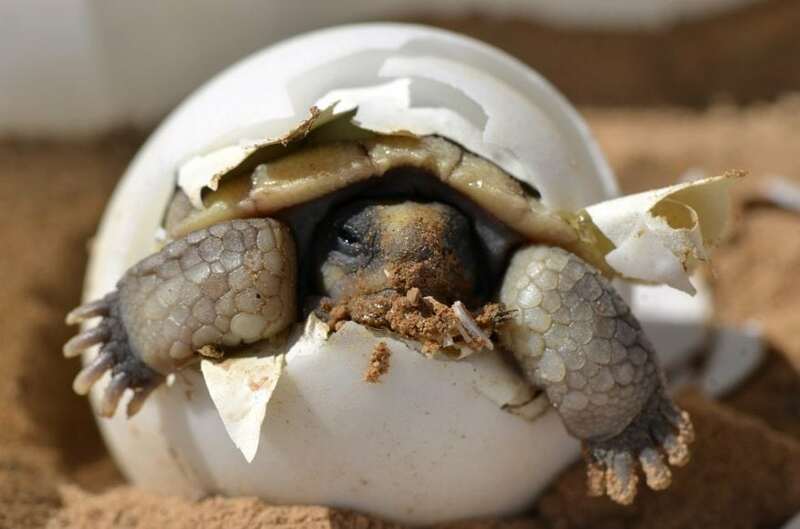 Born to be asocial: newly hatched tortoises avoid unfamiliar individuals. Animal Behaviour. 138. Wilkinson, A., Kuenstner, K., Mueller, J., Huber, L., 2010. Social learning in a non-social reptile (Geochelone carbonaria). Biology letters. 6, 614–616. Silvia Damini is a researcher affiliated with the University of Padova in the Department of Psycholgoy. Her research focuses on animal psychology, specifically social behaviors. Elisabetta Versace is a lecturer at Queen Mary, University of London in the School of Biological and Chemical Sciences. Her research is focused on the evolution of the fundamental building blocks of behaviour and cognition, predisposed behaviours and specialized learning mechanisms.